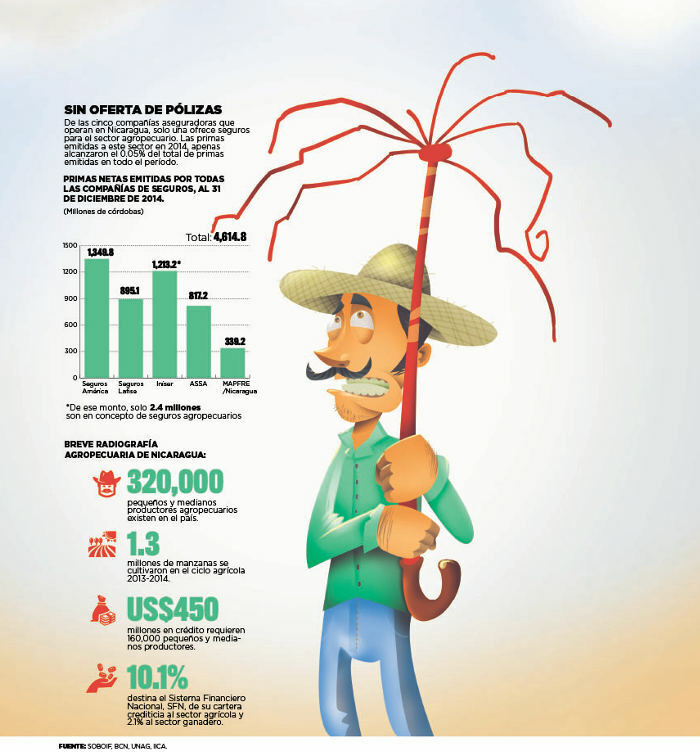 TODAY NICARAGUA – Little knowledge on the subject and difficulties in properly measuring the risks are some of the causes of the limited supply of this type of coverage. Currently only one company, out of the 5 operating in the country, provides insurance for the agricultural sector. At the end of 2014, written premiums for this sector where only 0.05% of the total, ie $ 2.4 million. Union representatives argue that there is a market waiting for this service, but recognize that it is a high-risk segment.